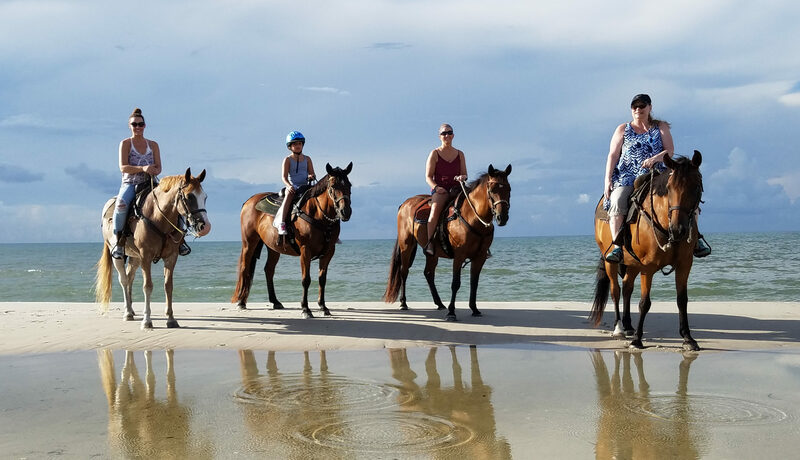 All of our beach rides at Two-bit Stable are by reservation. March through August are our busiest months, and during those times we recommend making reservations before you come or as soon as you get here since rides are limited to early morning or late afternoon & sunset due to the summer heat. We also suggest booking your ride for earlier in the week (Monday thru Wednesday) so if the weather is bad we will have a chance to reschedule your ride before the week is filled. 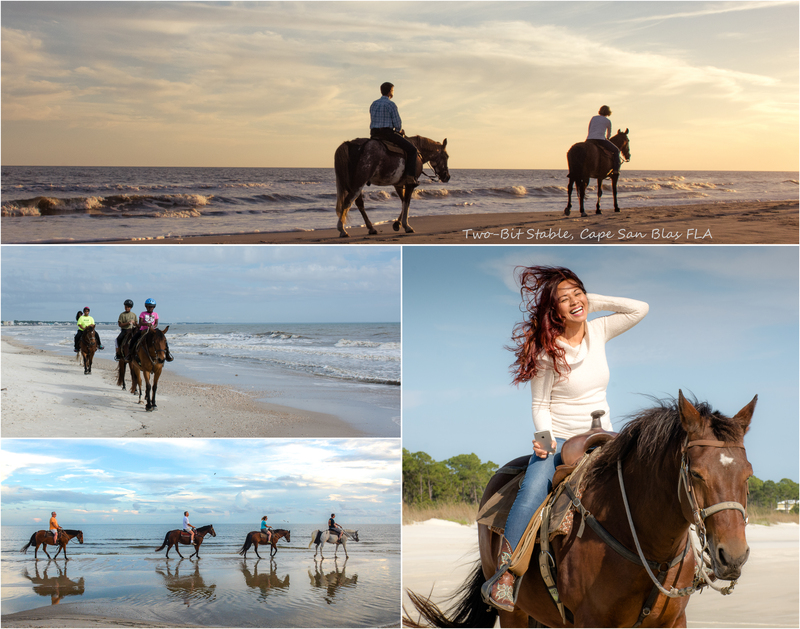 You can conveniently make reservations for any of our excursions online as well as view Real Time Availability by clicking the "Book" tab located at the bottom of all of our web pages. After making your reservation you will receive a confirmation email containing all of the information you will need for your trip... Where to meet, what to bring, when to arrive, etc. We also have a FAQ page which is very helpful. Should you have any questions at any time please call us and we'll be glad to assist you! Located right next to the Fire Department on the same side.